Congratulations to SweetLittleNothingness for winning LOTW! 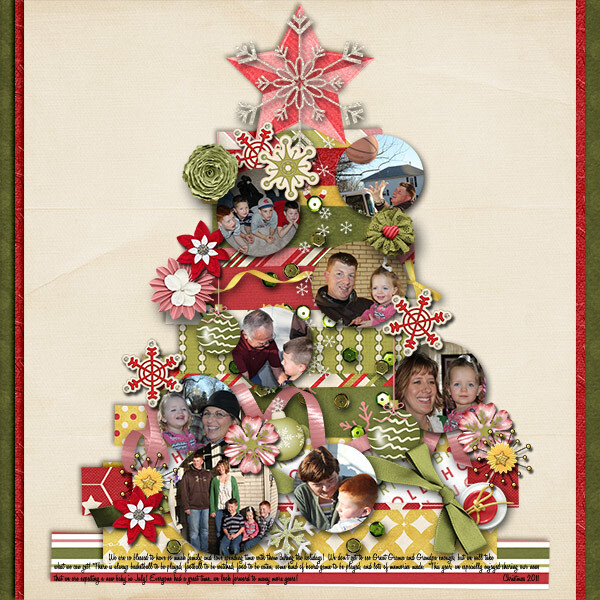 I love the tree shape in the LO and the little bubble “ornaments”. It’s a beautifully scrapped layout. Click the image to leave her some love or click here to view her entire GingerScraps Gallery.